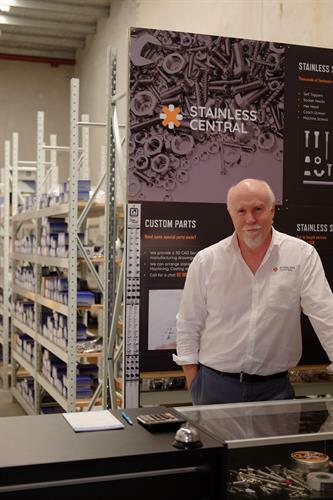 Stainless Central is a specialist supplier of Stainless Steel Fasteners and Hardware. We keep a huge range of fasteners as well as some Marine and General Hardware. We stock various Stainless Sections (Flat, Angle etc) and cut to length. We supply Wire Balustrading including posts and rails; and components for Wire Garden Kits. We have hydraulic swaging facilities on-site. For the builder and handyman we keep the Stainless range of German origin Fisher Construction products along with bright and tinted high performance decking screws. We have in-house 3D CAD design and years of product development experience and welcome custom made product enquiries. Come to our warehouse or try our easy to use Webshop. Our team is friendly and willing to help - so please contact us freely for all your stainless steel requirements and we open early for the tradies!